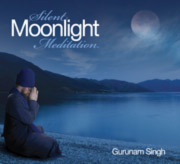 Gurunam Singh`s second album will crack your heart wide open to receive it`s soothing, healing vibration. Beloved for his smooth, rich voice, Gurunam`s music takes you deep into the heart of the sacred sound current. Gurunam embarked on an inner and outer journey, traveling to the villages of India to live with a community of devoted Nihang Sikhs while creating the music on this album. This album is an amazing fruit of that intense experience, and the pure spirit and humility of his experience ring through on every note.